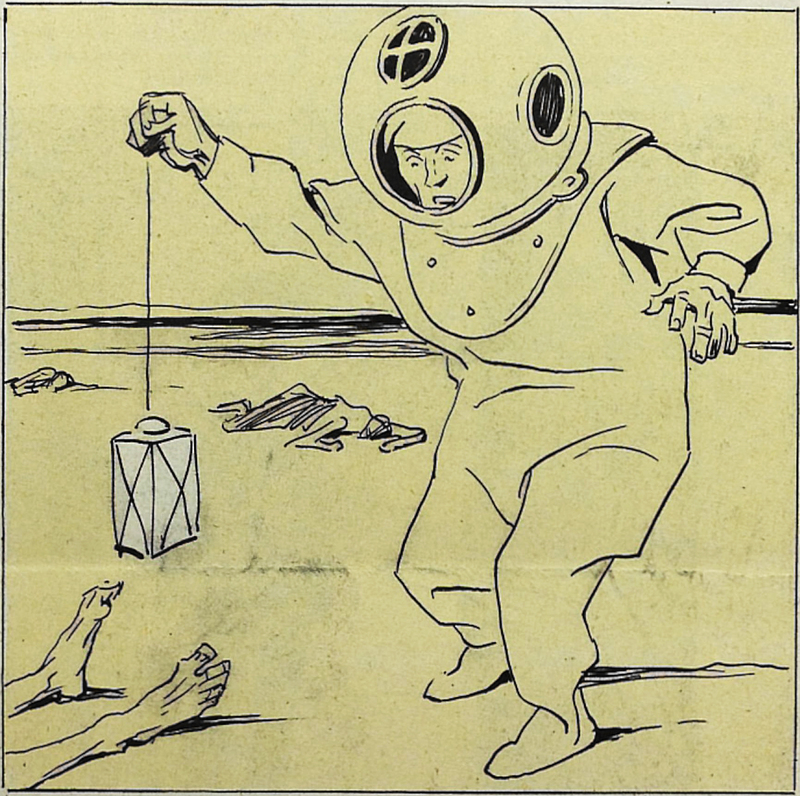 Underwater umbrella. 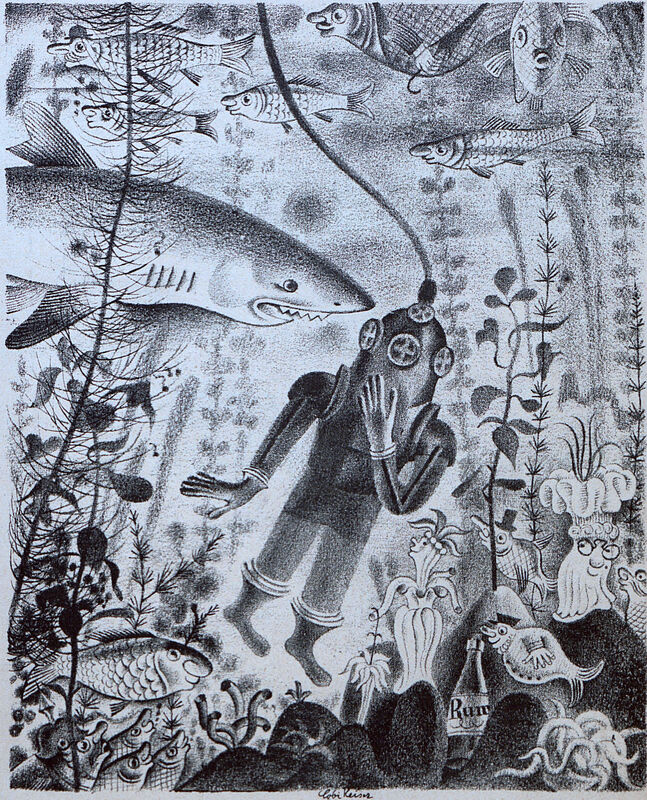 From Fliegende Blätter, 1925. 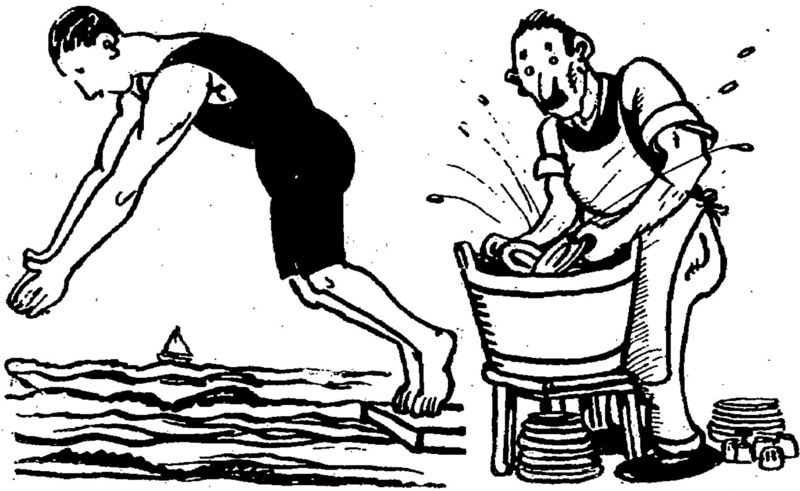 Two types of plunging, only one of them a sport. 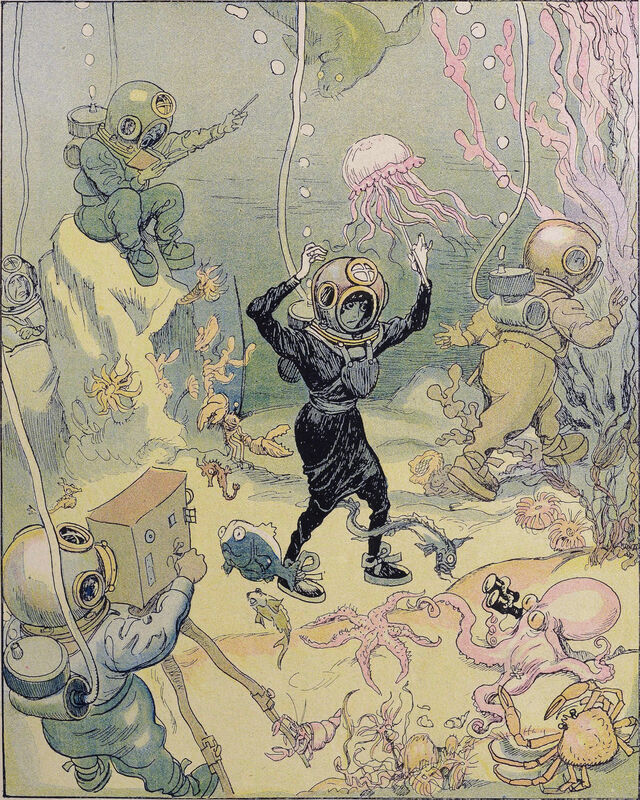 From Le Journal Amusant, 1920. 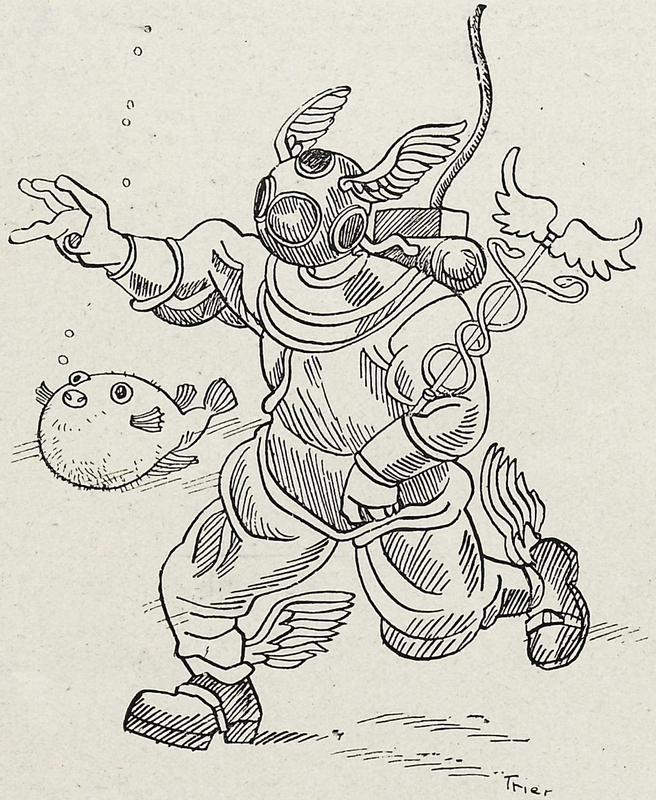 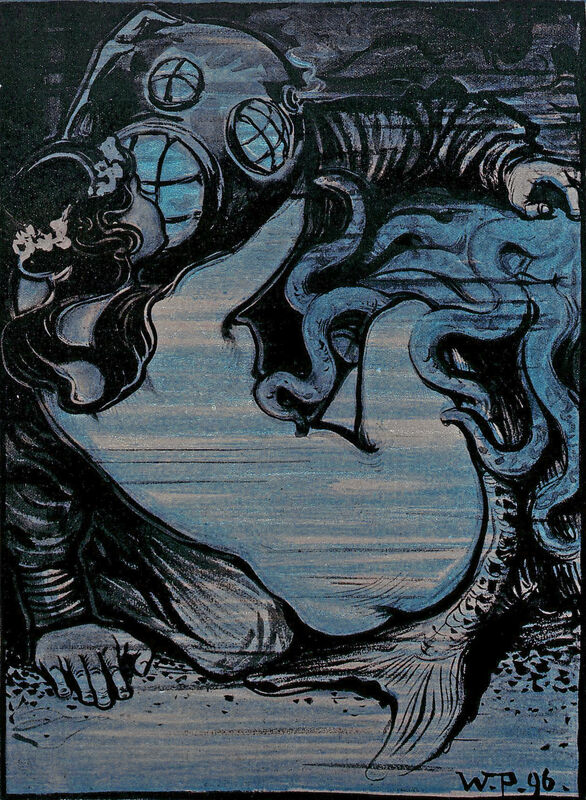 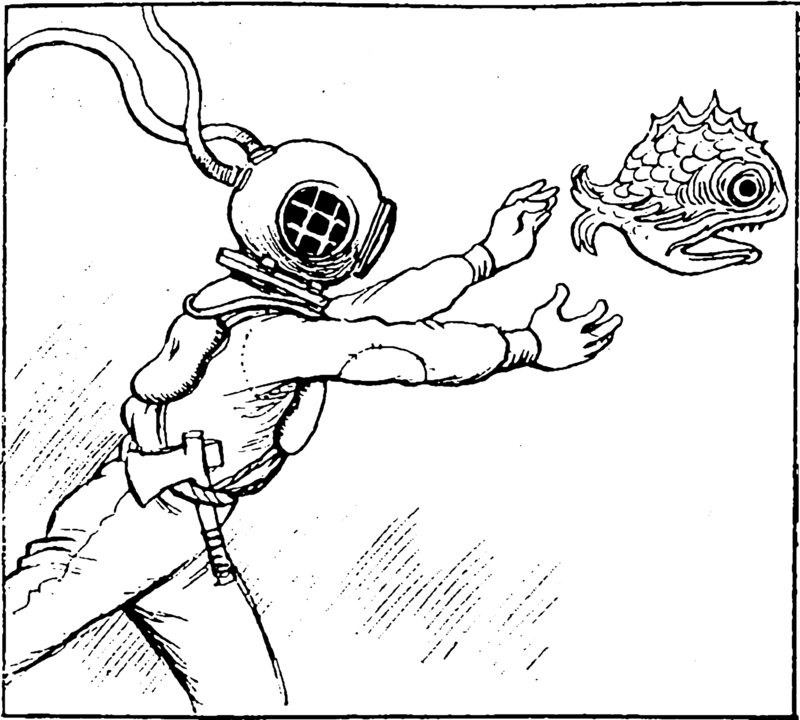 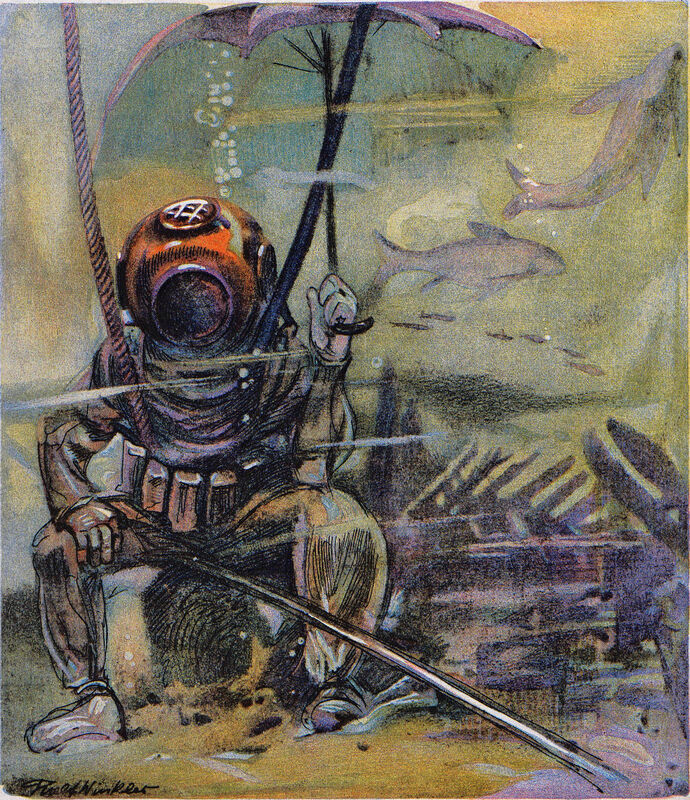 "Like some weird demon of the Middle Ages, the diver in this queer suit can prowl the bottoms of the seas at depths hitherto unattainable in his search for lost ships." 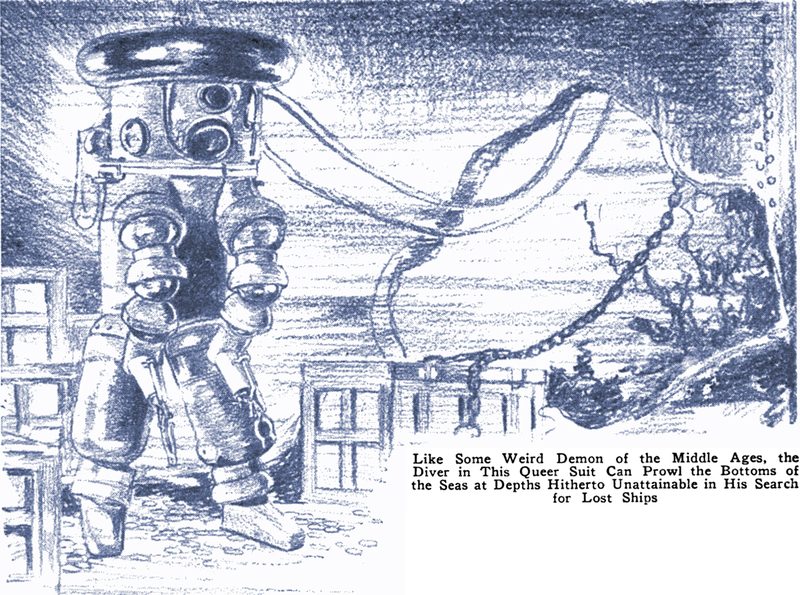 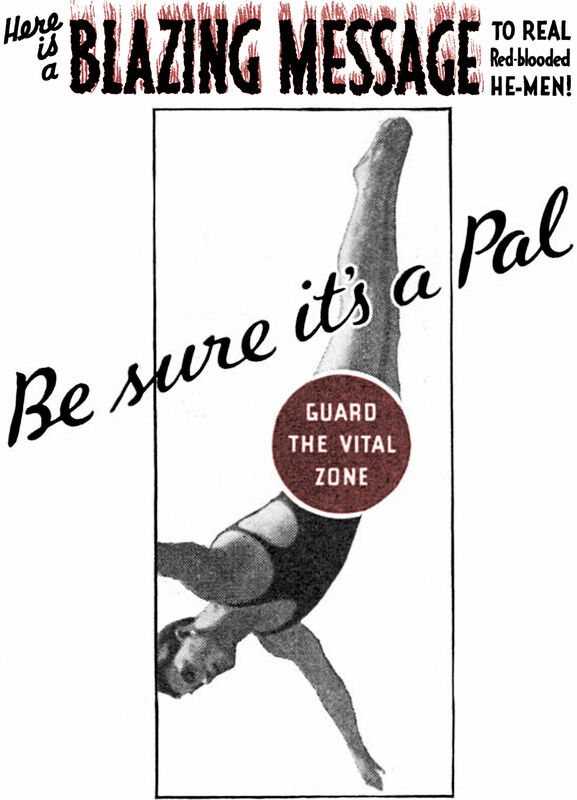 From Popular Mechanics, 1928. 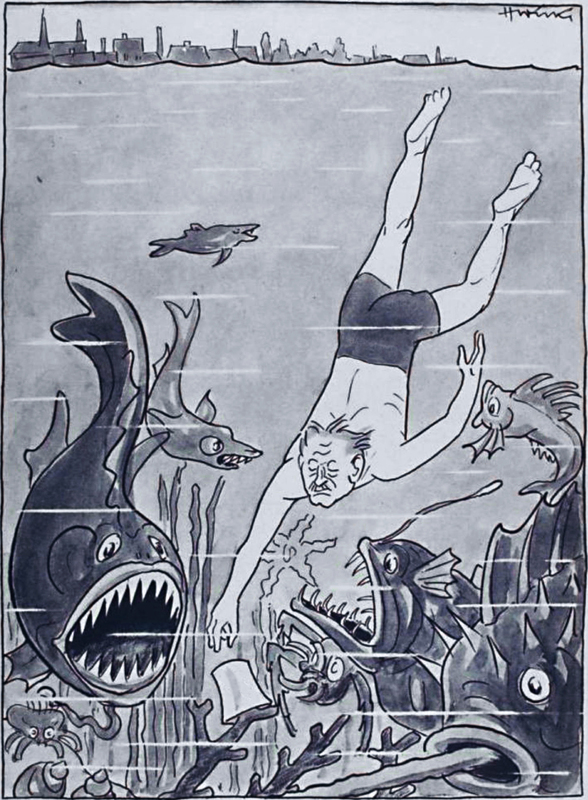 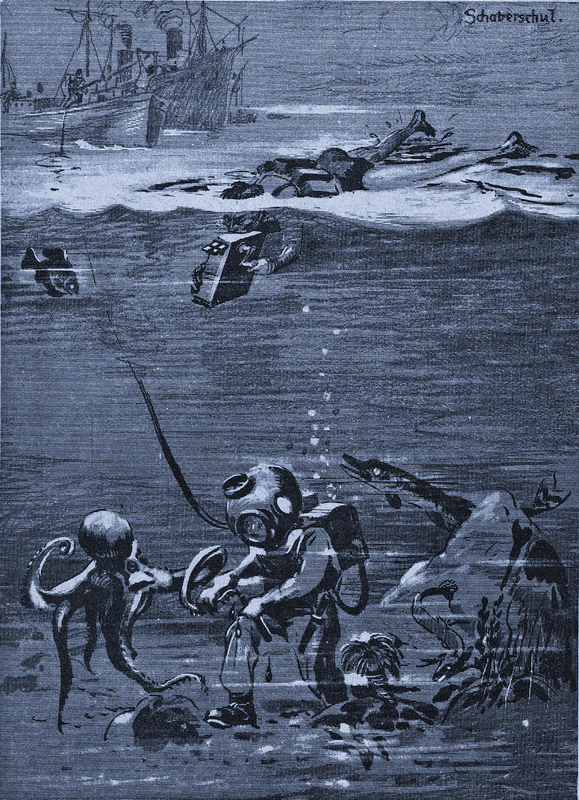 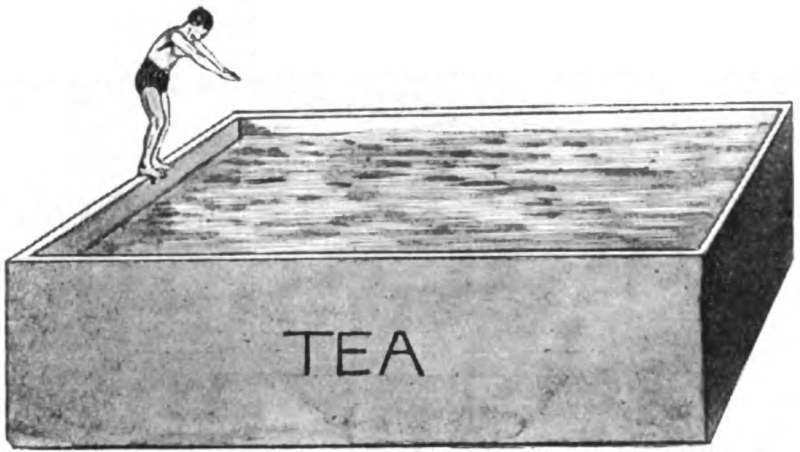 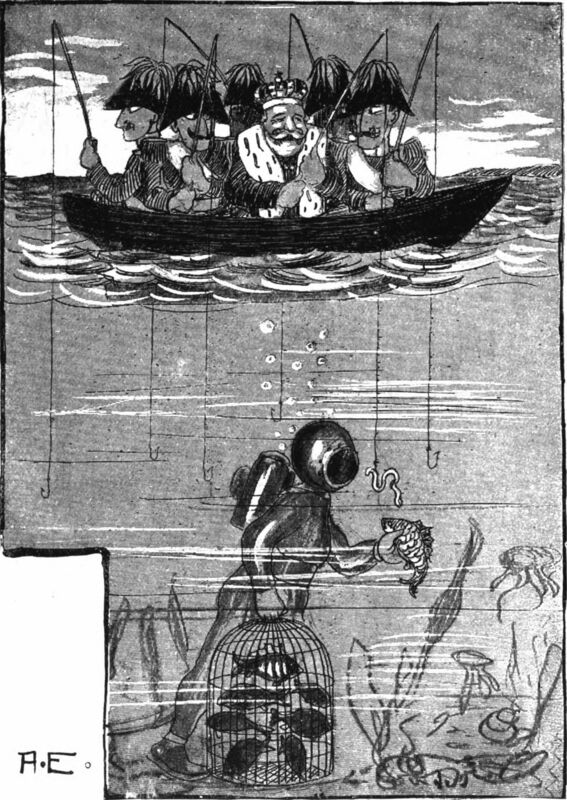 Diving into a pool of tea, from Harmsworth Magazine, 1899.